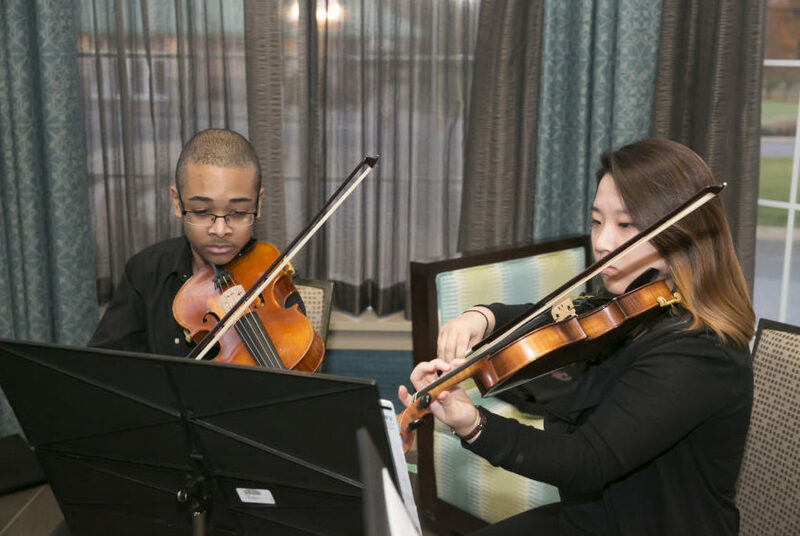 In 2009, Sundays At Three established a music student award program in cooperation with the band and orchestra teachers in the 12 Howard County public high schools. The program recognizes the outstanding junior year chamber instrumentalist in each school. The band and orchestra teachers select the school’s award-winner from among the students who participated in small instrumental ensembles. During June of each year, members of the Board of Directors of Sundays At Three present the awards at a music class in each school. The award consists of a certificate, a monetary award, and free admission to the entire eight-concert Sundays At Three season for the winners’ parents. 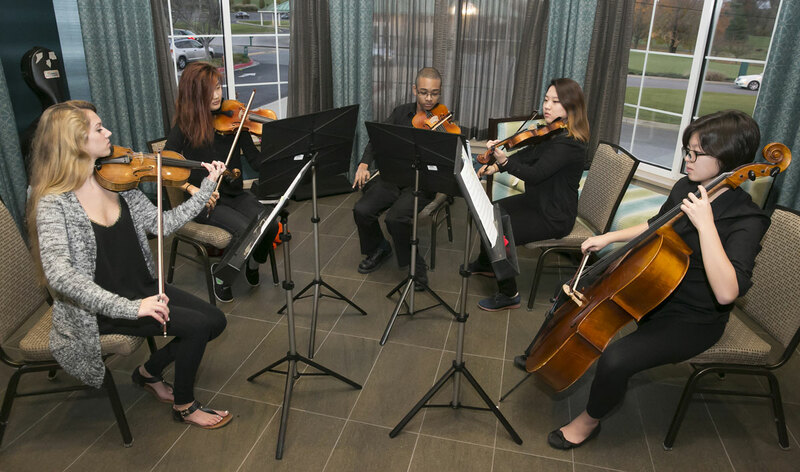 Since 2014, Sundays At Three has collaborated with the Howard County Public School System to support its mission of fostering a lifelong appreciation of, enthusiasm for, and participation in music. 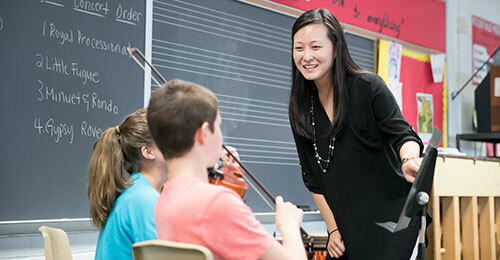 The collaboration takes the form of at least one outreach program per year in 1-2 elementary or middle schools, as determined by the music instructional facilitator and music teachers, to provide coaching and other instructional services in the classroom. Sundays At Three also supports concert attendance requirements in music classes through its policy of free admission to high school students with or without a paying adult. © 2019 Sundays At Three, Inc.